Before we venture any further in to this relationship, I should probably know how you like your toast. So you know, when we have our sleepover and I’m up at five in the morning because I’m secretly 85 years old, I can make you breakfast. Oh and clearly, our friendship is going well since this would be our second sleepover – don’t you remember at our first I made you a quinoa skillet? I do. But that’s what else happens when you’re secretly 85… you have a lot to remember. Toast was a pretty big point of contention in my house growing up. My mom likes her toast – or what my dad refers to as “warm bread” – barely toasted whatsoever. Like not even golden. So there isn’t much crunch, so you can see just a few streaks of brown on the piece of white bread (because my mom flat out refuses to eat wheat bread EVER), and so the texture is freakishly similar to a piece of well, actual untoasted bread. I take after my dad and we like our toast TOASTED. I mean, really toasted. Like toasted to the point right before it burns. Super crunchy, super crumbly, super golden. Sometimes it even ends up coming out dark, dark brown (read: black and burnt), and he still eats it. Dry! I usually have to use the butter-knife-scrape-into-the-sink trick because I’m not that adventurous. I sort of like to be able to swallow my toast. You know? But I am a fan of dry toast if it’s done correctly. Which is so weird, since bread isn’t my drug of choice. I just love the crunch crunch crunch. Toast is even better when it’s insanely thick-sliced multigrain or super seedy or talonica or sourdough. I don’t really do thin slices of bread and if I do? They must be topped with something mouth-watering. Like brown butter, avocado, melted gruyere or… this pecan butter. Contrary to the confusion of the name, what we have here is actually pecan butter with a pumpkin flare. Not a pumpkin butter with pecans. But my mind was blank and my words were lacking and my brain was just… not there. This happens often. And before you go getting all nervous and sweaty-palmed on me and swearing that “it’s only mid-September!”, I promise I’m not getting too slutty with the pumpkin quite yet. I mean, what do you think I am? It’s only the beginning of our reconciliation and I’m bound and determined to takes thing slow. That’s why I simply made some new slightly spiced nut butter (I sort of flip over making my own) so we can eeeeeease back into this. And when I say ease back into this I really mean devour it in three days then run full speed ahead. 3 tablespoons pumpkin puree, or you can try pumpkin butter! Spread the pecans out on a baking sheet and bake for 15 minutes, flipping every 5 minutes. 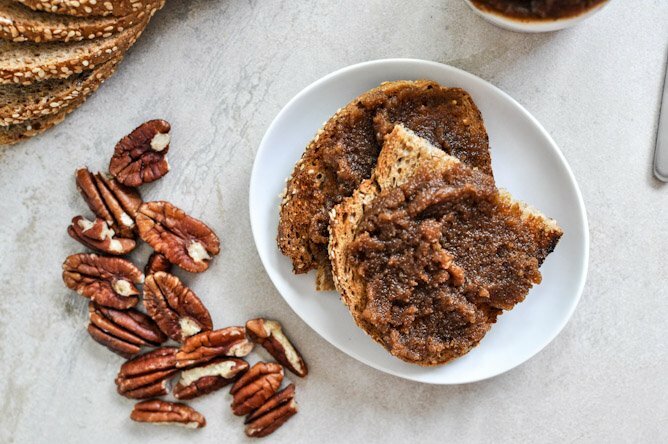 Once roasted, add pecans to a food processor and blend and pulse, scraping down the sides of the processor until the butter comes together – about 5-6 minutes. Add in pumpkin, spices, syrup and salt, pureeing and blending more until your desired consistency is reached. If needed, stream in oil 1 teaspoon at a time to bring the butter together and smooth it out a bit. Taste and season more if needed (this will depend on your pecans, your syrup, etc), then place in a seal-tight container or jar to serve. Store in the fridge if this butter will not be consumed within 1-2 weeks. Sounds like I get the better end of the deal here. Just found your blog today, and yes, I might have decidedly spent my work day reading it and trying to keep silent fits of giggles under my breath. I think I’ll go home and destroy my kitchen cooking up all this wonderfulness. Thanks girl! I like my toast crunchy too. And I would like it with some of this butter! It looks delish. I agree on the toast doneness. Also, I live and breathe for sourdough toast. This looks super good, I’m not a fan of pecans but I’m open to it. I think this would be a good thing to make as a gift at Christmas time. Pecan-Pumpkin butter sounds like heaven in a jar! FYI – in case we ever have a sleepover, I like my toast lightly browned!!! This could be more innovative than cookie butter. I think I am going to finish the cookie butter I made last week, whip this up, and dump it into the cookie butter jar in honor of autumn’s arrival. Yes, it needs to be done….thank you *so* much for sharing this! I stumbled upon your blog a few days ago and just wanted to drop a note letting you know how much I LOVE it! I normally don’t comment on blogs, but your way of writing is so witty and entertaining and I HAD to tell you. Very real and honest and totally accessible over multiple generations of readers (I’m 21!) 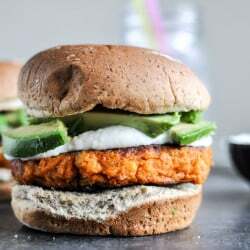 Keep up the awesome/amazing recipes and inspiring posts! You’re great. I would like to eat this right now so much that I almost got out of pajamas to go to the store. Almost. But wow, this screams FALL IS HERE! Love. Your posts make me so happy! I spread butter on the bread and then toast it in a toaster oven or regular oven. 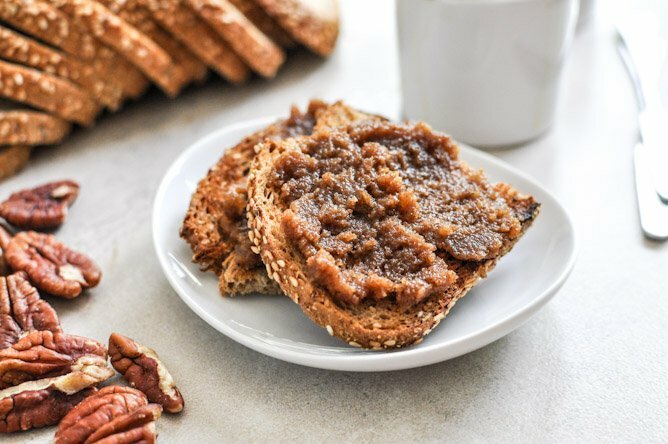 And I would totally spread this pecan pumpkin butter over my already buttery toast. Pinned – so making this! this pumpkin butter looks out of this world delicious :) Can’t wait to try it! Woahhh girl. I fell hard for pecan butter last fall but never thought to add pumpkin to it! Genius! I made this over the weekend and cut down the recipe because I only have small little “Bella” blender and neglected to realize I need a BIG bag of pecans. 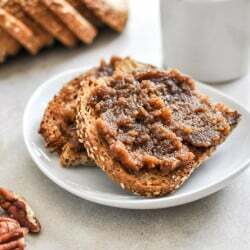 I stopped at the consistency that was creamy but still had some pecan chunks to enjoy, almost like a crunchy butter…I threw in some ingredients for a pumpkin bread in my breadmaker and together…it was like I was in pumpkin heaven. Did I mention that I made pumpkin ice cream, the pumpkin alfredo, and the english muffin pumpkin bread within three days of each other? No, I am not pumpkined out. Pingback: 15 Pumpkin Recipes You Need to Make This Fall - What Dress Code? I want to SWAN DIVE right into the middle of this! !